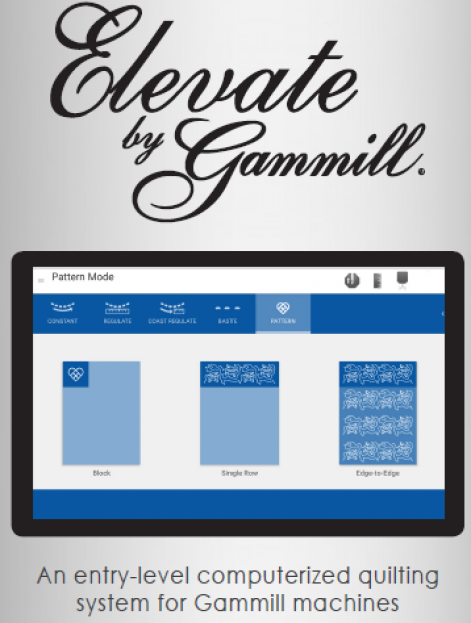 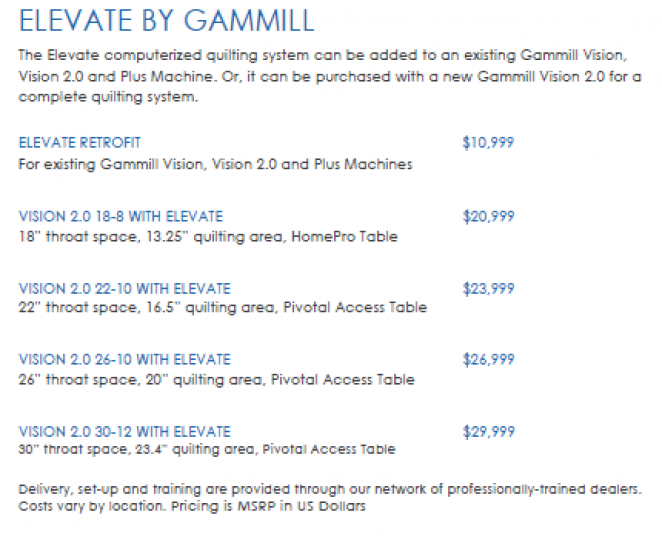 The Elevate tablet system is available as a retrofit for the Visions, Vision 2.0 and Plus longarm machine from Gammill. 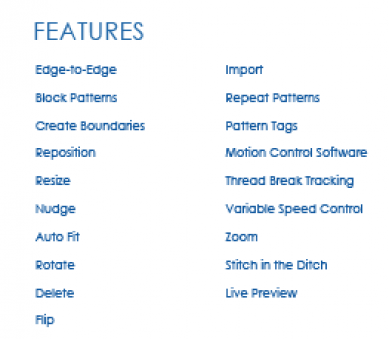 All of the smooth gliding motion of the Breeze Track system on the Vision 2.0 can be combined with the accuracy and consistency of a computerized system. 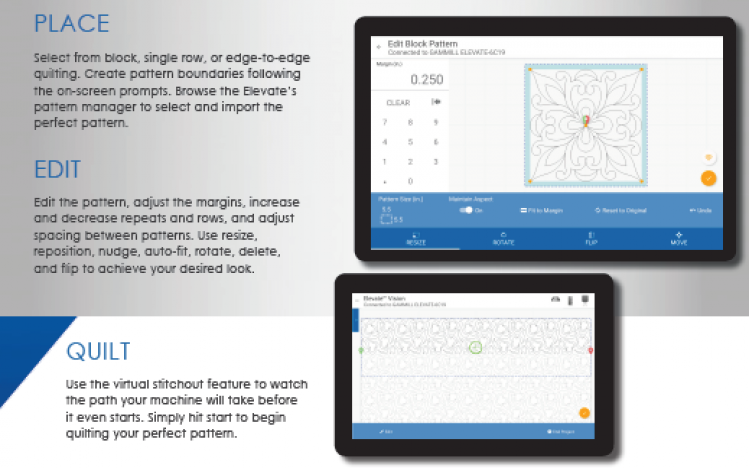 Elevate allows you to place and edit a pattern and to import designs developed in the CreativeStudio 7 software in stand alone mode.